South Korea has declared a paradigm shift away from performance-oriented sports policies amid growing controversy surrounding allegations of sexual violence by national team coaches. 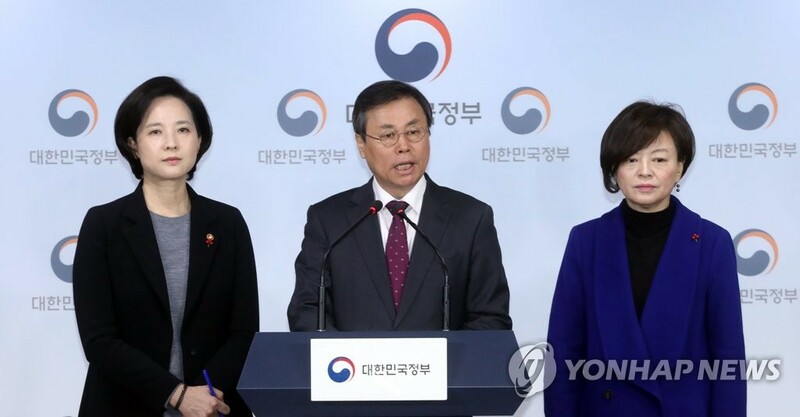 Culture, Sports and Tourism Minister Do Jong-hwan held a press conference in Seoul on Friday and said an administration focused on gold medal winning performances will be scrapped in favor of one that supports the true value of sports. Do said the country will move away from enhancing national prestige through elite sports performance and will instead create an atmosphere that prioritizes fair competition, doing one’s best, respect for opponents and acceptance of outcomes. As a way of overhauling the athlete training system, the minister said he will review separating the Olympic committee from the Korea Sports and Olympic Committee and come up with reform measures through the establishment of a sports innovation committee. The government also plans to revise related laws and rules to strengthen punishment against those who commit or cover up sexual violence in the sports community. The government will also create a special inspection team to encourage victims to step forward and investigate all reported crimes. It also plans to establish a system to manage and regulate sports instructors to prevent sexual violence.